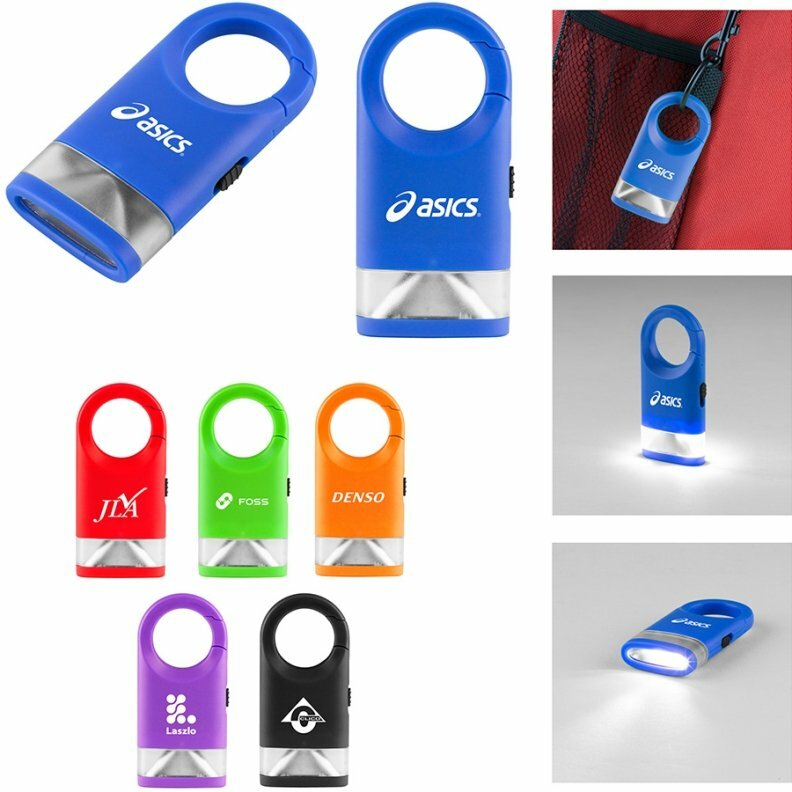 Get your logo imprinted Carabineer LED Promotional Flashlights. Trade show giveaway, college recruitment, promotional items. 3 LED bulbs, focus as a bright flashlight or use as a lantern. Built in carabineer for hanging up or on belt - backpack. Colors: Blue, Red, Lime, Orange, Purple & Jet Black. The overall size 2 13/16 wide x 1/2 h. Polybagged. Item requires 2 CR1220 batteries - are included. Price includes a one color imprint on front area 3/4" w x 3/4" h.
$.55 each running charge, no additional setup charges. A Logo does require Illustrator ai, eps or pdf art file.